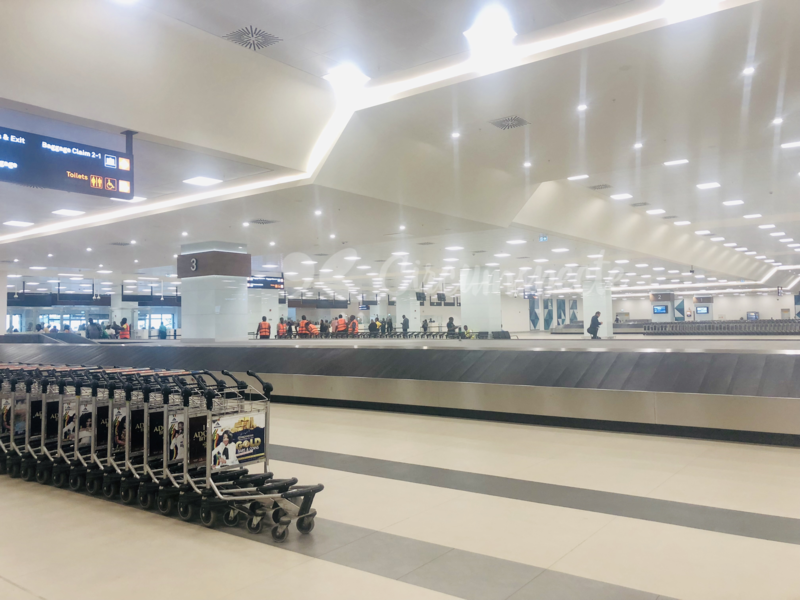 In September 2018, Ghana’s Kotoka International Airport (KIA) opened its new Terminal 3 to the oohs and aahs of Ghanaians and travellers alike. A video posted by a clearly stunned Nigerian traveller quickly made its way around the interwebs, and cemented “T3” as not just a thing of beauty but a potential tourism booster. The upgrade of Kotoka International Airport began as far back as 2014 with the renovation of the then-international Terminal 2 which will now be used for domestic travel. I wrote about the Kotoka International Airport renovation in 2016, although not in the most flattering of terms. While the physical aspects of the airport had improved, the work culture and professionalism left a lot to be desired as bribery ran rampant. My article evoked a response from an official of the Ghana Airports Company Limited (GACL) which manages Kotoka International Airport; the country’s four domestic airports in Kumasi, Tamale, Sunyani and Ho; as well as various airstrips. Although his remarks were a bit defensive, it was obvious he cared enough to respond and so I shared some suggestions on how things could improve. In March 2016, construction of the $250 million Kotoka International Airport Passenger Terminal (T3) commenced. Undertaken by Turkish company Mapa Construction MNG Holding under the direction of GACL and the Ministry of Aviation, the airport expansion is projected to have created about 900 temporary jobs with an additional 760 permanent jobs envisioned to sustain operations and maintenance. The passenger terminal is expected to accommodate 1,250 travellers during peak hours and to welcome an estimated 5million passengers per annum. Its structural upgrades range from simple technologies like automated taps and toilet flushers to six fixed links and seven air bridges. 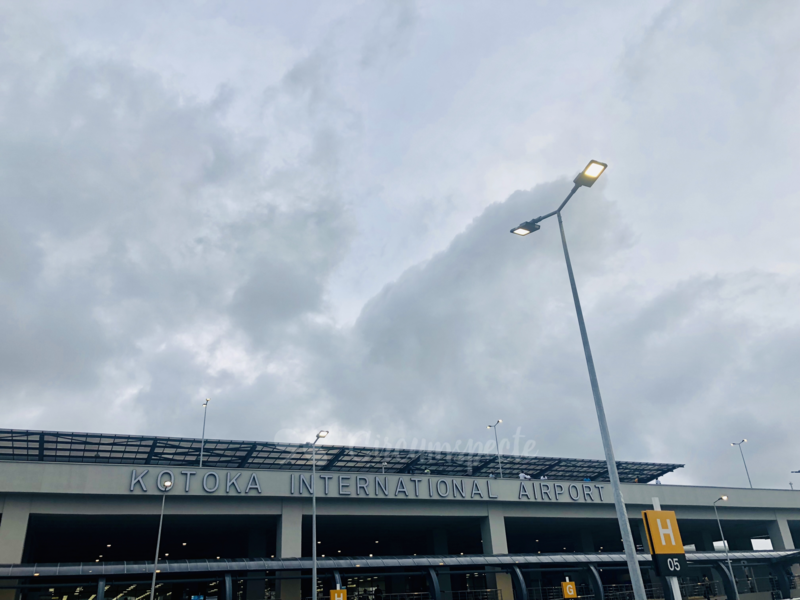 The $250 million Kotoka International Airport expansion is part of a larger $400 million renovation project of airports inGhana including the domestic ones. Funding for the airport is from the AfricanDevelopment Bank, development finance cooperations and commercial banks. “So this one, is it NDC or NPP that deserves the credit?” Because I’ve already gotten this question a number of times, I’ll deal with it right here: I could care less which government should be credited for the T3. At the end of the day, it’s Ghana’s international airport, not a political party’s. It’s for the Ghanaian people and so its upkeep is the responsibility of us all. Many commentators online have pooh-poohed the new terminal, saying the press and social media reports are overhyped. 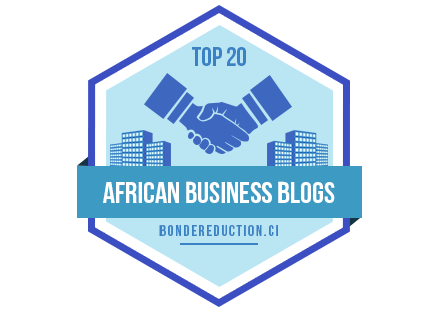 I was curious to find out why there was so much debate and got my first look when I picked up a Senegalese friend from the airport in mid-October. My walk from Café Kwae to T3 was largely uneventful and the streets were well-lighted and marked. 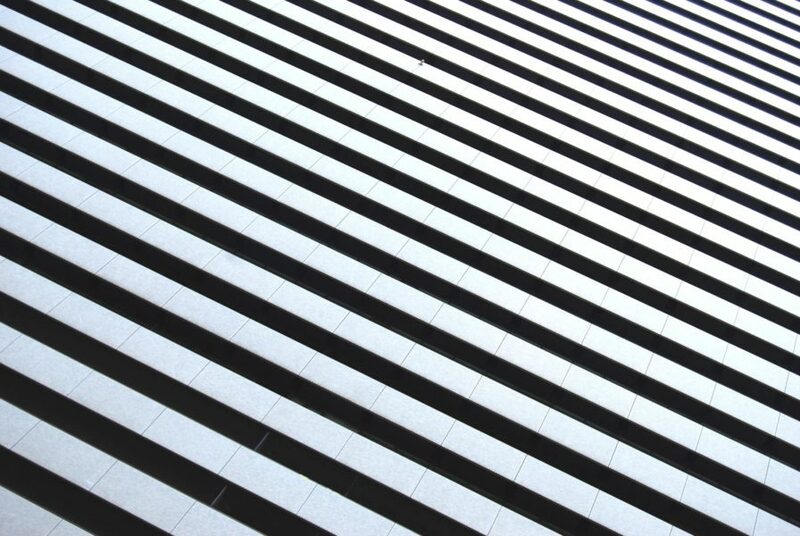 In the 700-capacity car park, I asked a security officer for directions – he was easily identifiable in his uniform – and proceeded to the arrivals waiting area. There were more than enough seats for the numerous people waiting for their family members, friends, colleagues, clients and so on, and the general aura was calm although it appeared to be a busy night. As it turned out, my friend needed to get a visa on arrival but didn’t have any cash. After speaking to the immigration officer on phone and confirming that I was her host, we were escorted to the nearest ATM inside the arrivals building. Here too, the mood was calm and one might say even jovial; the immigration officer was patient with us the entire time. About a week later, I returned to the airport to catch a flight to Brussels for a presentation on Circumspecte’s work in helping bridge the digital skills gap. Having been through numerous airports, I was particularly curious to see if T3 met global standards, especially on the technology front. My check-in process was quick, due in no small part to the numerous check-in desks and clear signage indicating where check-in for the various flights would be. By all indications, Kotoka International Airport’s Terminal 3 has been upgraded to international standards. According to website Airport Technology, the T3 departure hall is fitted with 56 check-in desks; 30 passport control counters including four e-gates for electronic scanning of boarding passes; and 8 security gates. 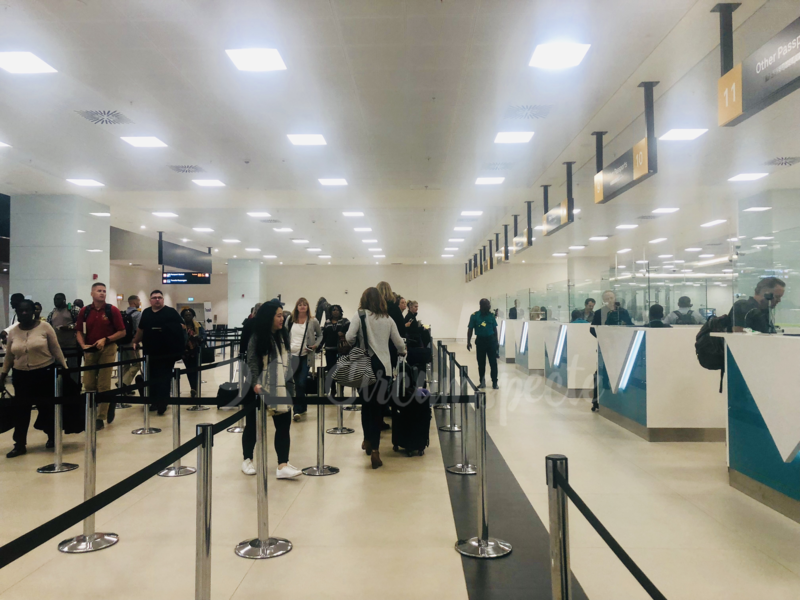 The arrival section features 24 immigration counters divided according to passport type (Ghanaian, ECOWAS, Foreign, Diplomat and Priority), 4 expandable e-gates and 4 reclaim devices, allowing for the efficient processing of up to 3,500 bags hourly. I had a bit of time to spare after going through security and decided to explore a bit more of the new terminal. Besides its three business lounges, T3 hosts a duty free shop which carries a number of local and international products including shea butter, chocolate, T-shirts, fridge magnets, artefacts and cosmetics. Additionally, there were a few other speciality shops and recognised brands in the terminal for those looking for a last minute gift from Ghana. 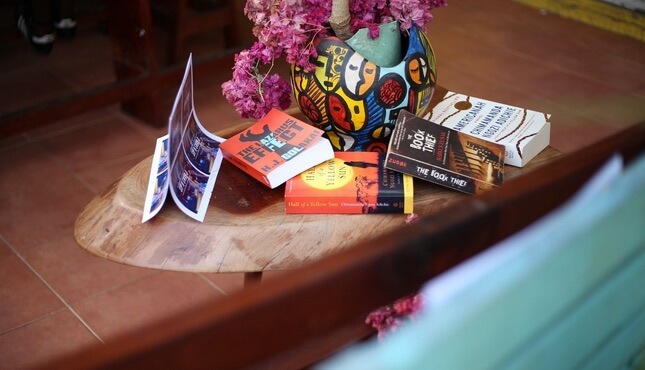 A quick browse through the Wild Gecko Handicraft shop hinted at a tasteful selection of interior decor, trinkets, and gifts from across Africa; the nicely wrapped set of books by Nigerian author Chimamanda Adichie was hard to miss. Adubea Tensen’s storefront featuring luxury beaded handbags was a delightful and welcome, albeit pricey, find, as was The Shea Shop which stocks shea butter and black soap beauty and self-care products from local brands like Kaeme (my go-to Ghanaian shea butter product). Having satisfied my explorer tendencies, I decided to grab a light dinner (tuna salad) at Beans and Cream; a 3-week old coffee shop / eatery and probably the latest addition to Accra’s growing list of coffee shops. The eating area was clean with enough seats to accommodate about 30 or so hungry passengers. All in all a good alternative to Vida E Caffe which is also present in T3. Across from Beans and Cream were a couple of other local shops selling ready made African print wear, jewelry and so on. Not much of an African print person? 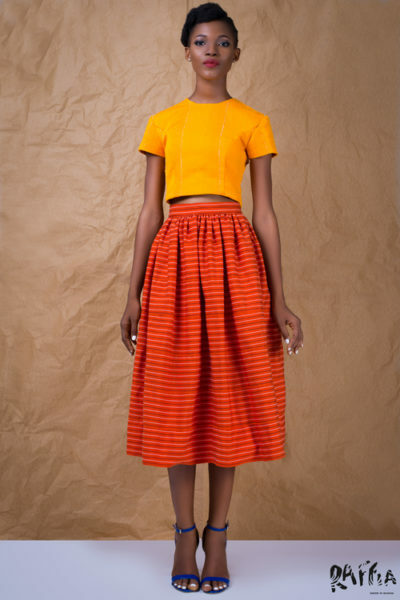 Look out for Nallem Clothing and their tasteful African inspired contemporary outfits. is the case in airports in Abidjan and elsewhere. Passengers wait to go through immigration. Service: Can GACL Revamp More Than Just Airport Terminals? handing me my jacket. They have a lost and found system, I thought to myself. After hearing the passenger’s experience, I decided to hold off on publishing this review on T3 until I returned and went through the arrivals process myself. I typically pickup my luggage within 15-20 minutes of arriving at the luggage pickup point, but this time it took twice as long. Besides that however, my entire arrival process was smooth – I wasn’t solicited for anything, and the airport and immigration staff were attentive and helpful. It could be that customer service has been or is being improved, or it could also be because it wasn’t particularly busy as we arrived in the late afternoon. What’s more, immigration cards were distributed on the plane for completion before landing so that could have helped speed the process along as well (pro-traveller tip: keep a few immigration cards with you to fill on your way to the airport). 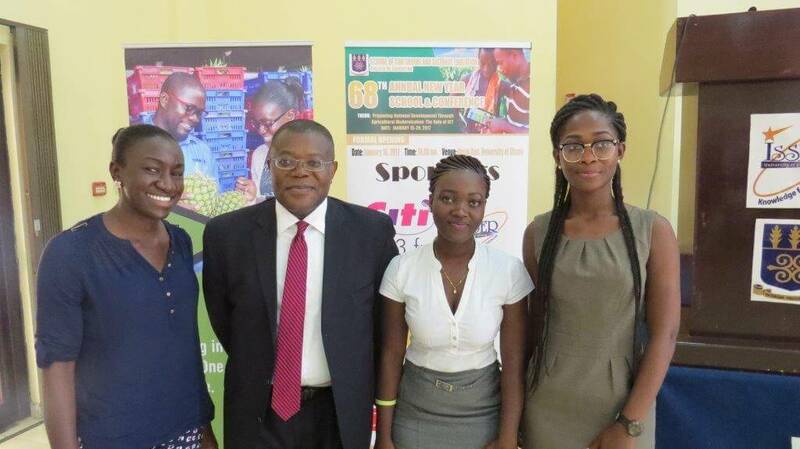 There have been very few times I’ve had to do an substantive update on an article I’ve written: when Circumspecte readers helped us raise $1000 for girls education; the time the Ghana government released a statement on security measures after my Circumspecte article on Côte d’Ivoire’s 2017 terror attack; and last year when many Ghanaians galvanised online to bring attention to and raise funds to address the plight of a 4-year old who was defiled. It’s been a little over two years since my initial article on proceedings at the Kotoka International Airport and I’m happy to report that my initial article on Ghana’s airport is no longer relevant (knocking on wood paa). The Kotoka International Airport Terminal 3 definitely lives up to the hype for its architectural beauty and technological capacity. More importantly, it’s a welcome assurance that just maybe, we still have a chance to do things well and right as a country tourism and hospitality wise. 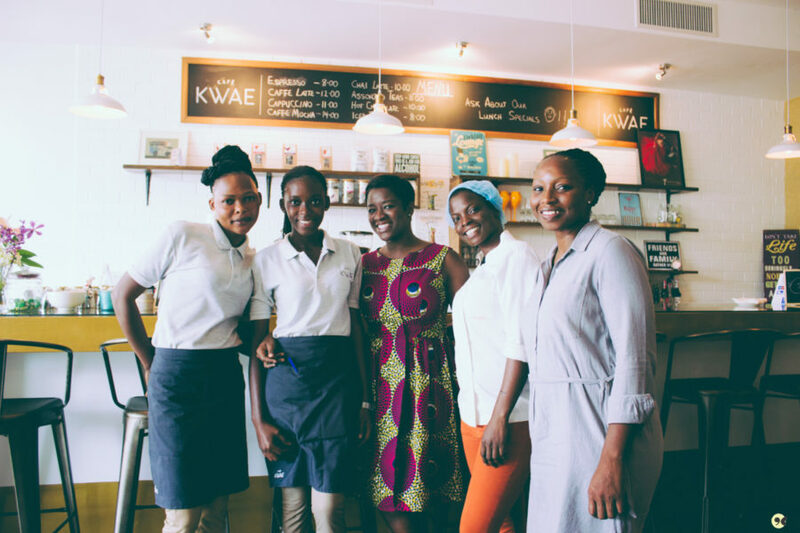 Customer Service Training: The biggest selling point for tourism in Ghana is not our infrastructure – although it can certainly help – but rather our people and how we make our guests, tourists, airport passengers feel. Continuous and periodic trainings on customer service, communication and so on will go a long way in helping Ghana achieve it’s goals as a prime tourist destination in West Africa and Africa at large. Provide an Audio-Visual Introduction to Ghana: The corridors of the terminal leading to/from the aircrafts are quite bare – consider commissioning and installing photography and videography from top notch creatives like Bob Pixel, Nana Kofi Acquah, Excelsis and Apag Studios. This would also be a great opportunity to work with local interior decorators or art spaces like Gallery 1957 and to highlight artists like , Papa Oppong and Serge Attukwei Clottey. Create Ambiance: Partner up with musicians and/or entrepreneurs like Decaf Live or Harmattan Rain to curate a monthly or quarterly playlist of Ghanaian and African inspired music to create ambiance in the retail and commercial sections of the airport – and maybe even the lounges. Work with local interior decorators like Guud Kelly to spice things up a bit. Get Creative with Social Media: Social media is a great game changer and one which can really help the Kotoka Airport soar. By sharing flight updates, responding to queries, and creating a hashtag unique to the airport and encouraging passengers to share their experiences online, KIA can help solidify its foray into the digital era. Air Peace’s Twitter account was a lifesaver for me when I visited Nigeria a couple of years ago during harmattan-induced delays. The folks at Kotoka City are already doing a great job spotlighting Airport City; a formal partnership with them and creative digital marketers like Circumspecte ( (yes, shameless plug) could really help KIA’s social media get more creative. Keep Things Interesting with a Pop Up Store: One of the main challenges of local businesses looking to go global? Testing the international market. By creating a pop-up store and allowing upcoming fashion, beauty, and other brands to showcase and sell their products on a rotational basis, the shopping experience will be kept interesting while allowing entrepreneurs to experiment with customers beyond Ghana’s shores. A win-win for the economy, travellers and entrepreneurs alike. Give a Taste of Ghana: Granted, fufu and banku may not be the most realistic meals to have just before or after a flight, but I’m sure many of our other Ghanaian foods will provide the exact amount of nutrients needed to make it through the sometimes cumbersome experience of traveling. 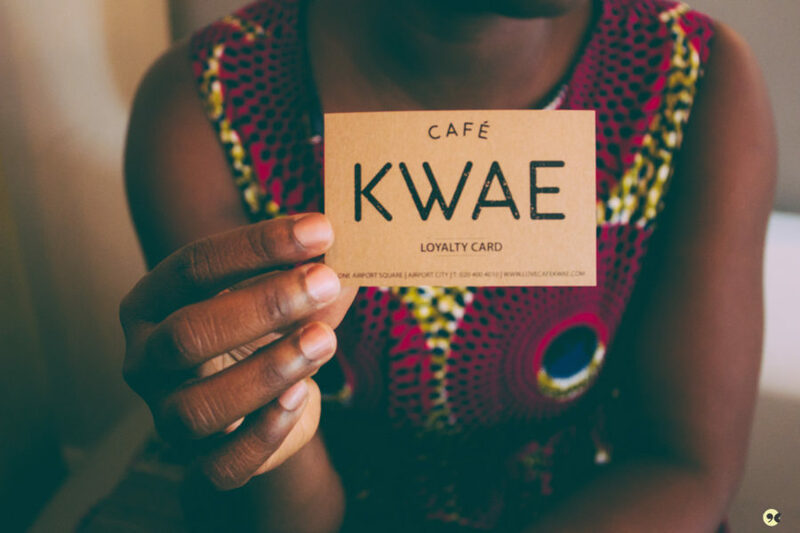 Consider introducing Ghanaian food to the menu offerings at the restaurants and eateries or better yet, have a pop up restaurant to showcase new and exciting menus from food entrepreneurs like Midunu and Mukasechic. 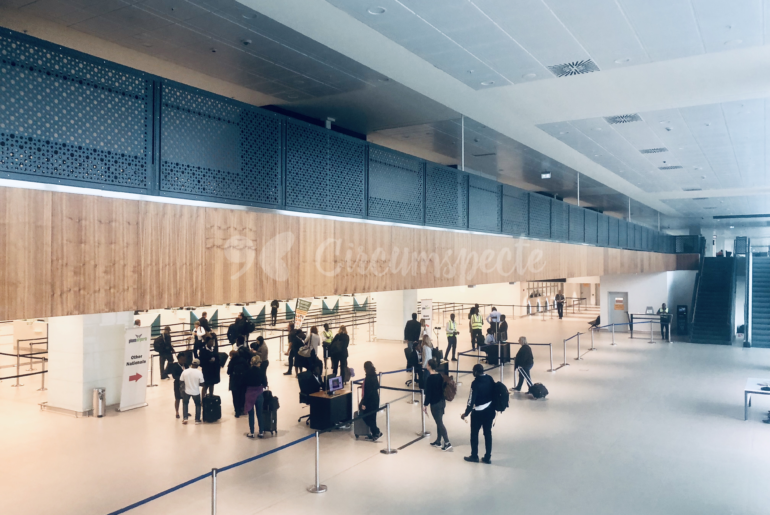 Improve the Departure and Arrival Hall experiences: Reinstating the baggage scan at the entrance of the departure hall to ensure that only passengers and maybe accompanying persons go into the departure hall. This will also help with regulating temperature in the terminal and ensuring security. Minimising the baggage wait time – the wait time at Terminal 3 is actually longer than it was as Terminal 2; despite the new technology. Where I used to wait about 20 – 30 minutes for my bags, I’ve waited between 40 – 60 minutes at the new terminal. Establish Partnerships with Uber, Taxify: When it comes to convenient travel from the airport, the average passenger who isn’t getting picked up will probably be using ride apps like Uber and Taxify. To make the experience seamless, GACL should consider agreements with Uber and Taxify to designate pickup and drop off zones, and provide discounted parking (they are usually in and out in a few minutes). New in town? Use code “CIRCUMSPECTE” for a 10GHS discount on your first Uber ride and code 4C7J1 for up to GHS 15 off your first Taxify ride. That’s it. 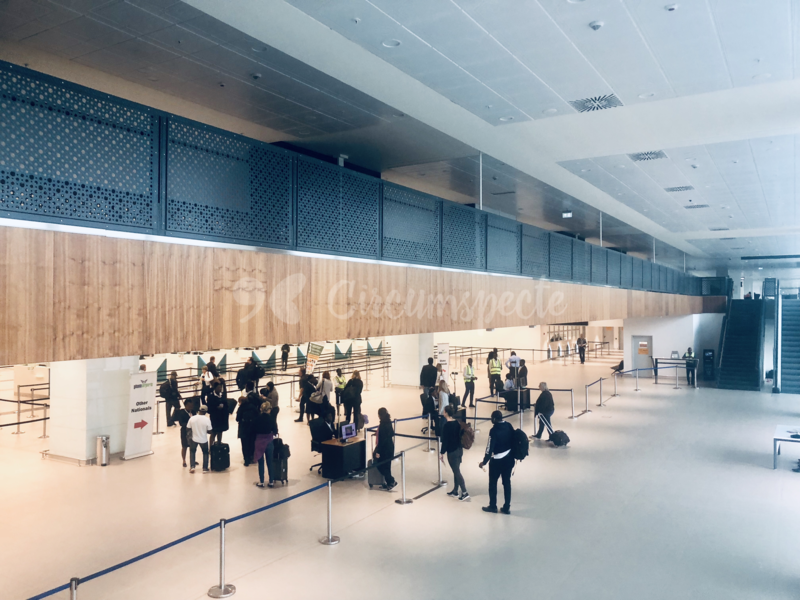 All you need to know about traveling through the new Kotoka International Airport Terminal 3. Already passed through? Leave a comment to share your thoughts and experiences and/or feel free to add your own suggestions. Yet to visit? Watch my virtual tour below. This is a very interesting article. Good to know it’s worth all the hype. I look forward to experiencing this. Meanwhile, your suggestions list, the last point is super important and would make a whole lot of sense if implemented. It is a super helpful idea for first timers in a country, not just in GH but in other countries as well. Thanks for your comment and feedback Mary – and yes, indeed, it would be very helpful if Uber and Taxify could have an agreement with the airport authorities. I’ve updated that section to include some discount codes for both app services; hope that helps further. Do let me know if / when you make it to Ghana. Hello Jennifer, thanks for taking the time to share your experience and so sorry you had to deal with that. It sounds quite confusing and frustrating. Loitering inside the airport is one of the recommendations we made for improving the airport experience – I’ll pass your review on through to a few people. Fingers crossed that they take steps to address it.